Road trips in retirement are the best because you only need a loose plan of how to get there and what you are going to do. After that, its all about beautiful scenery, good food and soaking up your surroundings, preferable with a golf club in hand. Boise is a great city for biking, shopping and eating. It has been voted one of the best places to live, check it out on your next trip to Idaho. When you leave Boise on I-84, go northwest to Oregon. We like to stop at Wildhorse Casino for a break. It offers a hotel, golf course, RV park, restaurant and of course a casino. We like to see friends at The Dalles, it has a nice downtown with specialty shops and eating places. Breakfast at Cousins Family Restaurant is a nice treat. A few miles down the road is Hood River, famous for world-class wind surfing. You can also see kite-surfers riding the white caps of the Columbia River. The Columbia is a massive and beautiful river that is the life blood of barges and local fishermen. We drove up to Mt. Hood to see the Timberline Lodge, an old historic ski area. It is a good place to hike, we had a very nice lunch in the old lodge. At Portland, take I-5 south then 99-W to McMinnville. It is not just a beautiful drive but it takes you to Oregon’s wine country. There are so many wineries; you will need a designated driver! Do some research on Oregon wines, before you go. 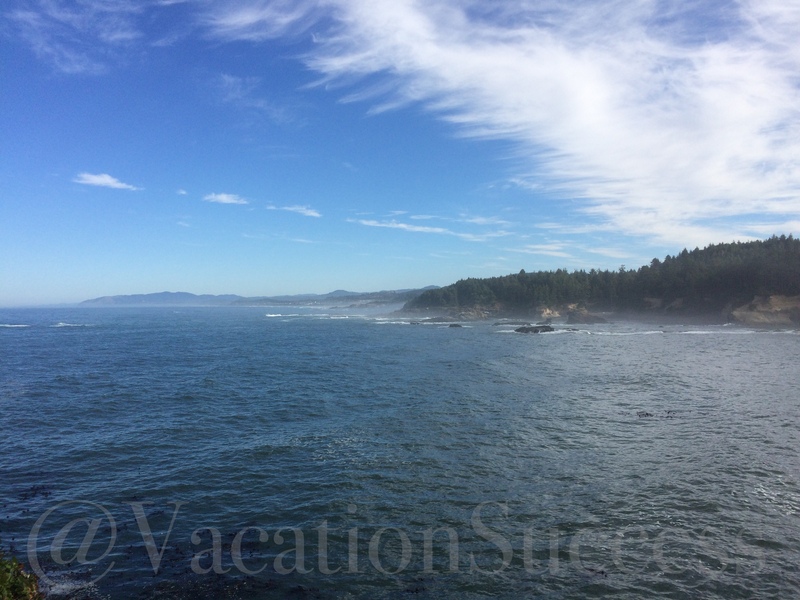 Our destination was Lincoln City, it has accessible beaches and many restaurants with fresh seafood. My husband ate clam chowder at most of the eateries, not a bad one in the lot! Lincoln City is known for great shopping, it offers several private shops and an outlet mall that will surprise you. If golf is your game there are several varied courses such as Agate Beach and the Salishan Resort. The Lincoln City area has a large amount of motels and homes/condos for rent. Check with the area real estate offices for more information. Since we were driving our motorhome, we stayed at Premier RV on the south end of town. The RV park is clean, with nice laundry facilities and attendants will help you park your rig. We received a coupon to eat across the street at Inn at Spanish Head bar. It has a wall of windows to watch the waves and offers good food and a full bar. We drove south to Depoe Bay, more shops and clam chowder. On the way we stopped at Devil’s Punch Bowl on the Otter Rock Loop, a very scenic place to stretch your legs. Further south is Newport a lovely harbor town that offers the traveler a great aquarium, fish markets and many waterfront condos. North of Lincoln City take the 3 Capes Drive to Pacific City and Cape Kiwanda. 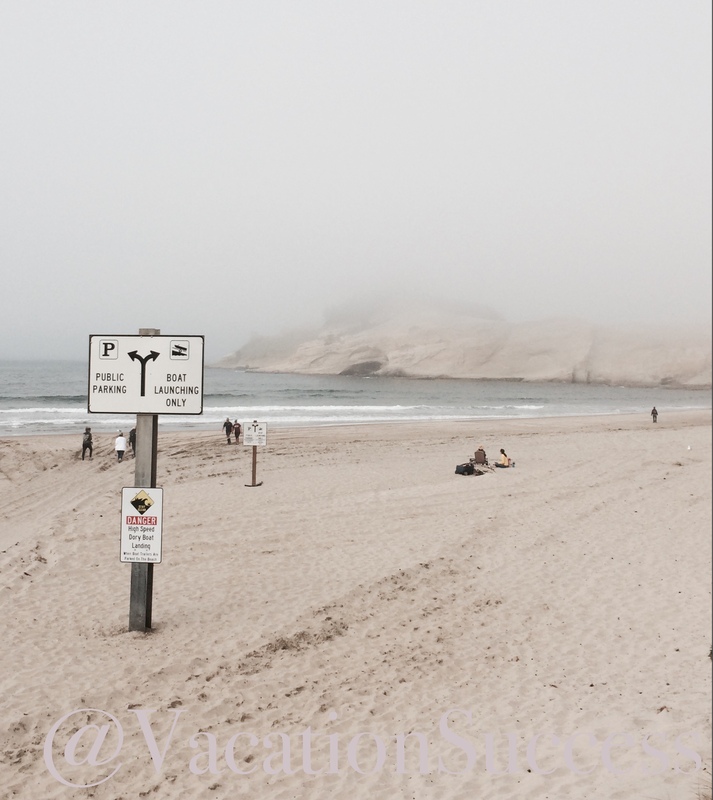 Check out Cape Kiwanda RV Park and cabins. Across the street is a lovely beach, we like to watch the dory boats come in after a day of charter fishing. Call Eagle Charters (Dave@oceanfishing.com) for a fun day of fishing. Next to the beach sits our favorite restaurant, the Pelican Brewery: Award winning beer, excellent food and the best clam chowder ever! The 3 Capes Loop is a good bicycle option, not much traffic and lots to see. We drove north to Netarts Bay, a good place to rent a boat with crab pots to catch your own dinner. We kept driving north to Tillamook, a large town with a great creamery. Be sure to have some ice cream after you take the tour and visit the market. There is also a massive air museum in the area that is worth your time.